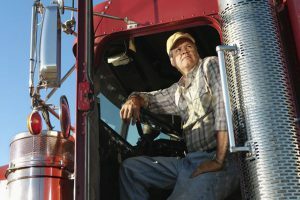 How can freight bill factoring help trucking companies? Our freight bill factoring company makes it easier for truck drivers to improve their cash flow. Sometimes known as “bill of lading factoring,” our freight bill factoring service creates working capital from your accounts receivable. Call Riviera Finance, the pioneer in small business financing. Using Riviera Finance, you can maximize your cash flow and control your expenses. Learn how we can help your bottom line as your freight bill factoring company. There are many advantages to factoring freight bills with Riviera Finance. Through bill of lading factoring we’ll provide cash flow when you send us your freight bill (invoice) and a bill of lading. With Riviera Finance as your freight factoring service, receiving cash for your accounts receivable is easy. We also offer Fuel Card Services where you can take advantage of approximately 1,800 discount locations offering Retail Minus or Cost Plus fuel discounts. Receive the small business financing you need through our freight factoring service. We’ll provide your trucking company with increased working capital by bill of lading factoring. Let Riviera Finance be your freight bill factoring company.